For anyone who is wheat intolerant (like me), but not allergic (coeliac disease), it is helpful to know that the vitamins, minerals and healthy fat content of the wheat seed is concentrated in the wheatgerm. 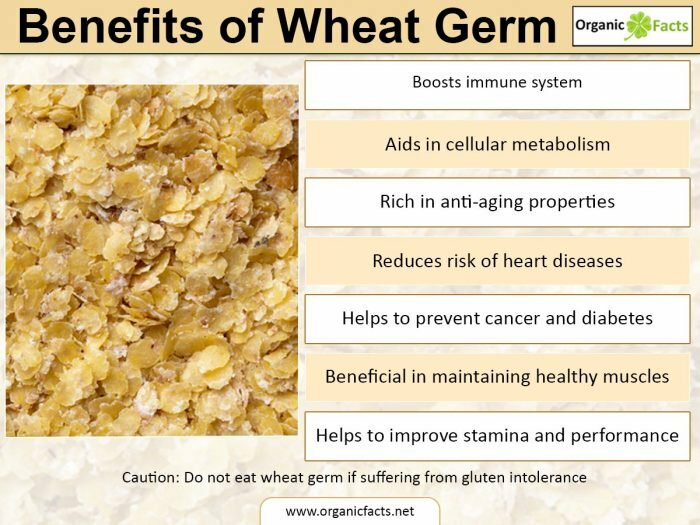 The wheatgerm is only 2.5% (1 part in 40) of the whole seed, but has all the magnesium and zinc, and more concentrated protein than virtually all sources of meat and fish. The data varies, depending on the separating process at the mill. Poor separation dilutes the quality nutrients with carbohydrate. Of the many ways I've eaten wheatgerm, my favourites are in bread (~12%), porridge and fruit cake. 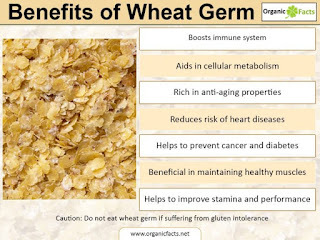 For people suffering from leaky bowel (which insoluble wheat fibre/bran aggravates), oat bran and wheat germ are alternatives. 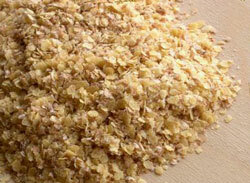 Wheat germ does contain some wheat bran, but replacing 100% bran with wheatgerm (15% bran) is an improvement. I think I'll start putting some in my oatmeal. I have oatmeal for breakfast and supper. Lunch is something more substantial and so far I'm not hungry during the day. I've been told that I should eat 6 small meals to better regulate blood sugar during the day. My latest upgrade for homemade bread is to use malt extract rather than sugar for the yeast to 'eat'. When seeds begin to germinate, enzymes promote a pronounced increase in the vitamin content. Malting barley stops the process at an ideal time, the analysis of malt extract shows this.